Lola’s is located in Playa Avellanas. This beautiful beach is family friendly but also has some of the best surfing around. Lola’s offers the freshest food and the tastiest drinks. 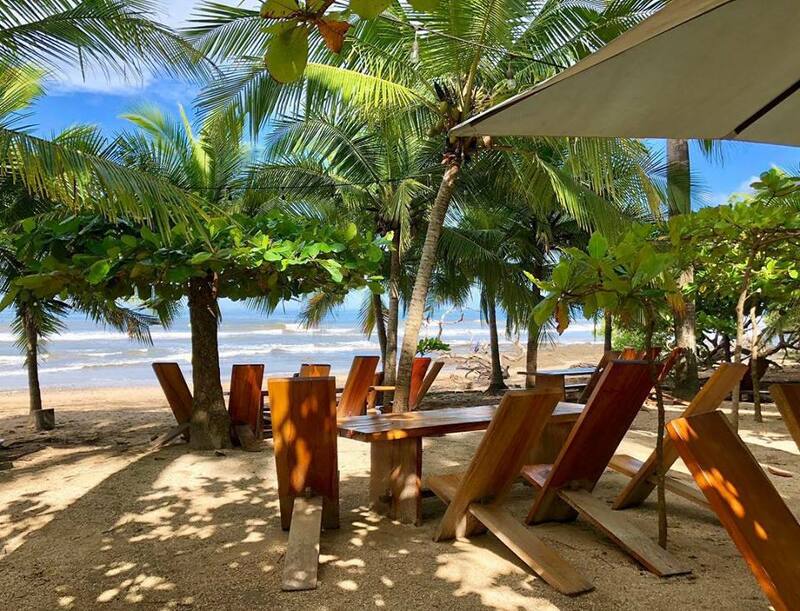 Lola’s has friendliest service and to sit and have lunch in front of these beautiful tropical surroundings… it is a must . Their smoothies are amazing, especially with a shot of alcohol. Costa Rica is blessed with some of the best fishing in the world. They offer a half-day of inshore fishing around the beautiful islands off the coast of Flamingo. Fishing for mahi-mahi, red snapper, yellowfin tuna, jack carvelle and the pride of Costa Rica waters, the rooster fish (a great fighting fish that will leave your arms tired and a smile on your face). All of our Flamingo fishing trips include a cooler filled with ice cold drinks and snacks. boats come fully equipped with all gear and tackle. Their captains and crew are experienced fisherman intimately familiar with these waters. The Blue Dolphin is a great day trip. As soon as you step on to this 40ft catamaran, there are snacks, sodas, beer, and cocktails. Your drink is never dry. When you arrive at the cove , go for a swim, snorkel, fish, paddle to the shore ,or anything you want while lunch is being prepared. After a long day in the sun, it’s time to head back to watch the most beautiful sunset. It doesn’t matter how young or how old you are … everyone should have this experience. Our instructors are very thorough. You start your lesson in the sand. Learning everything about the board, body position, telling you about the waves , then you get in the water and the instructors are there with you the whole time encouraging you to ride the waves. Ask for pricing and more information at the front desk. The Surf Club Sports Bar Playa Langosta is suitable for all ages ( you can even bring your dog) Play games, watch sports, eat and yes drink. Langosta is 5 min north from Tamarindo by car.